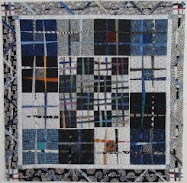 I posted a new page today - Calico Cutters Baby Quilts - featuring some of the absolutely beautiful quilts members of my guild created for our latest challenge. We are selling these quilts for $75 each and donating 100% of the proceeds to the Chester County Maternal Child Health Consortium. I did not list the name of the maker as many of the quilts are not labeled with names. Aren't they just beautiful?